The Unanswered Question: When am I ever going to use this? “When am I ever going to use this?” – The question that haunts math teachers and parents alike. 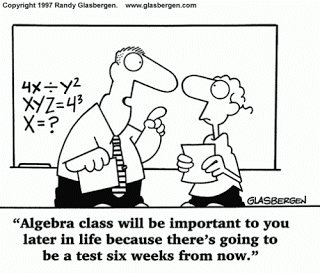 Every time you push your student focus on math- this question tends to be the number one retort. I can understand why. Growing up, I asked it a lot – to my parents, to my teachers, and to mentors that encouraged me to pay attention in math class. The answer tended to fall into 3 categories – “You’ll need this for a future math class”, “math is the basis of engineering and you might want to be an engineer!”, and of course – “you’re going to be tested on this in a couple weeks!”. While the answers are technically true, they weren’t satisfying then and they’re not satisfying now. If you’re a parent that lacks an extensive math background – this question can often be the root of much frustration when discussing math with your child. This blog is focused on giving you an answer that won’t only satisfy but will actually get your child excited about stepping into their next math class.Math always made sense to me but that did not mean that I thought it was useful or that it could somehow benefit me outside of getting good grades. In about 10th grade, I realized that some of my favorite technology and video games were ultimately based in the same math concepts that I was learning in geometry and trigonometry. The more I understood the math behind the games, the easier it was to level up and ultimately beat the game. At the time, I never thought about the fact that I could make my own games. I think if I had learned a little programming in middle school – it would’ve dramatically changed how I approached and thought about the math classes I had to take. Instead of studying for a test, I could’ve studied to make my next game more interesting and challenging for my friends to play. I’ve seen this scenario play out at our Code Center over and over again. 1) Students that don’t find math interesting will have a fantastic idea for a game they want to program. 2) Students outline their game idea and get programming. 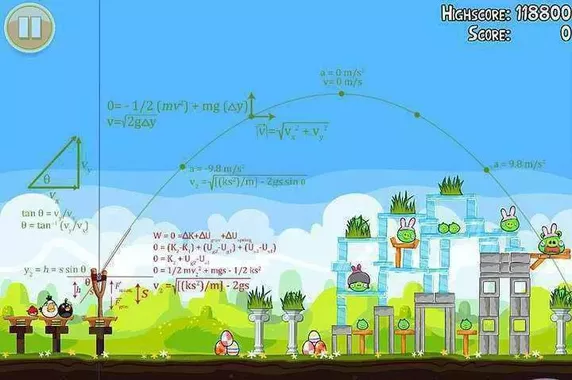 3) When it comes to the game mechanics – they realize that they’re going to need math such as geometry, algebra, or trigonometry to get their game to work. If your child loves video games or has a hard time putting down their phone – they’re on the cusp of falling head over heals for a subject that they might normally despise! When your child asks you “When will I ever use this?” or “Why do I need math?” – you can point directly to their device of choice and explain that math drives everything from the Instagram post they just liked to the high score they just got on their favorite mobile app or game system. If they start looking more carefully at the apps and games they love, they might be able to figure out the math powering everything below the beautiful interface that they feel so comfortable using. If you need help flipping your child’s perception of math – give us a call or just come on in to the Santa Cruz Code Center. We’d love to talk to them about all the cool things they can do with math.